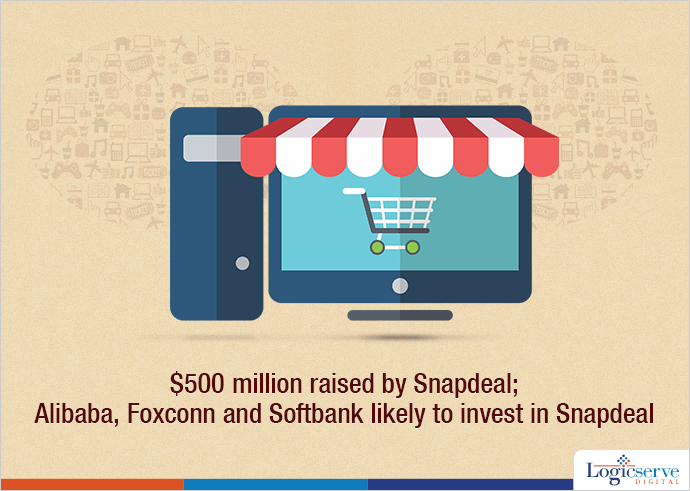 As per the latest news announcement, Jasper Infotech owned Snapdeal is all set to receive a funding of $500 million from Alibaba Group, Foxconn and SoftBank though the exact funding or stake details have not been revealed. It had been in news for quite some time that Foxconn, leading manufacturer of Apple iPhones have Alibaba, Chinese e-commerce giant have been in a couple of negotiation rounds with Snapdeal over the latest funding deal. The delay in finalizing the funding round is being attributed to valuation mismatches and performance led metrics as required by investors. Till date, other ecommerce majors such as Amazon and Flipkart have managed to raise funds for expanding their activities in India. Also, Paytm, India’s leading mobile wallet portal secured funds to the tune of $575-million from Ant Financial, which is associated with Alibaba.